Our goal is to provide quality rehabilitation care for companion animals with orthopedic or neurological problems. Our approach is case based; this means each patient receives the personalized care and program that fits his or her individual needs. 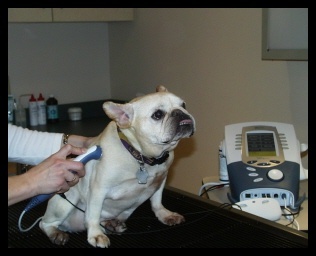 Each patient will be assessed and measured prior to beginning any program. 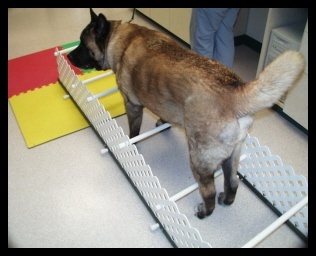 This allows a more objective evaluation as rehabilitation progresses. including underwater treadmill, therapeutic exercise, neuromuscular electrical stimulation (NMES), transcutaneous electrical nerve stimulation (TENS), therapeutic ultrasound, strength training and more. The Center is supervised by Dr. Kelly Trexler-Wertman a veterinarian certified in canine rehabilitation by the University of Tennessee and Jill Skoutelas, a certified technician who is also certified in canine rehabilitation from the University of Tennessee.